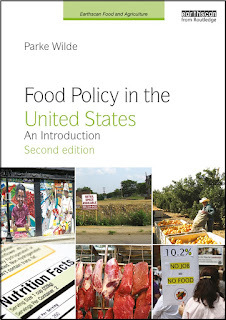 U.S. Food Policy: US dairy industry's "sustainability plan"
US dairy industry's "sustainability plan"
This week the U.S. Department of Agriculture and the Innovation Center for U.S. Dairy announced a joint agreement to support a U.S. dairy industry goal to reduce greenhouse gas (GHG) emissions by 25% over 20 years. Unfortunately, the dairy industry's idea of sustainability through mitigation inhibits the real process changes needed to combat climate change and the creation of a truly sustainable food system. The real way to combat climate change in dairy is by reducing dairy consumption (and therefore, production) and by producing dairy from cows raised on pasture, two things the industry is far from considering. The Innovation Center for U.S. Dairy (ICUSD) was created in 2008 to foster industry-wide pre-competitive collaboration and innovation in strategies designed to increase sales of milk and milk products. One of the founding organizations of the ICUSD is Dairy Management Inc™, which manages the national dairy check-off program. From an industry perspective, the "sustainability" focus is on CO2 emissions, largely in response to anticipated government regulation. Further, the approach is how to extract value and utilize opportunities to leverage demand. Much of the results from lifecycle analysis (LCA) conducted by land grant universities, show the largest reduction potential in the production phase of the dairy value-chain. Consequently, their strategy for sustainability is targeting nutrition management of cows (changing ratio of corn and protein feed) and the utilization of methane digesters to mitigate methane from manure lagoons. The main dairy GHG source is cows, rather than waste. The CO2 emissions from cow respiration cannot be mitigated without reducing herd size. The leading methane contributor is enteric fermentation from cows eating corn instead of their natural fodder, grass. The leading nitrous oxide contributor is land application of manure and fertilizer for growing feed (corn). Nitrous oxide has almost 15 times more the global warming potential as methane. That scientific perspective, emphasizing smaller herd sizes and the value of grass, is overlooked in much industry communication. Industry communication instead boasts of past efficiency gains and promotes increased milk consumption for good nutrition. "Contrary to the negative image often associated with “factory farms”, fulfilling the U.S. population’s requirement for dairy products while improving environmental stewardship can only be achieved by using modern agricultural techniques. The immediate challenge for the dairy industry is to actively communicate…the considerable potential for environmental mitigation yet to be gained through use of modern dairy production systems." Jill Richardson at La Vida Locavore recently criticized Capper's research in her post "Junk Science Study Says Factory Farming is Better" for including Roger Cady, former Sustainability Lead Monsanto and now works for Elanco (the former and current owners of rBGH), on the team of researchers. Cady was criticized by Tom Phillpot at Grist for conflict of interest in research extolling the environmental benefits of rBGH. The other most cited resource in the milk industry's sustainability literature is the USDA's 2005 Dietary Guidelines for Americans, which recommends consumption of 3 cups per day of fat-free or low-fat milk or equivalent milk products. According to Open Secrets, the dairy industry spent $3.3 million on federal lobbying in 2006, with Dean Foods, the National Milk Producers Federation and the Dairy Foods Association topping the list of spenders. The Dietary Guideline Advisory committee in 2005 was heavily criticized for its ties to dairy. But, this discussion of pasturing and Midwestern production overlooks the dairy industry's real home base -- industrial production in California and other places with water shortages. According to the University of Minnesota Extension, California ranks #1 in the U.S. in total dairy cows (1.7 million cows on 2,030 dairies) and #1 in total milk production (21% of U.S. milk supply). The average herd size is 850 milking cows, with 46 percent of all dairies over 500 head. These cows are not raised on pasture. They are raised on dairy freestall and drylot housing (concrete) in Tulare County in the San Joaquin Valley with 1,071,956 of their closest friends. Tulare County and five counties in the central valley account for 49% of the total milk production in California. Tulare County alone accounts for 25% of California’s total milk production and has an average herd size of 1,300 head. And they drink a lot of water (in the desert) - 20-50 gallons a day and create a lot of waste - approximately 120 pounds, or 14.475 gallons of manure a day per cow. Even with mitigation with methane digesters, the industry is off the mark towards sustainability. A real commitment comes from decreasing consumption of dairy and producing milk in the way it was intended, through cows on pasture. Seems like nature's own supply and demand curve. Until we have the dairy industry's commitment to these tenets, I am not convinced that sustainability in dairy is possible. Great post -- but, the # of cattle/calves from the census should be 1,071,956. This is taken from the "Top Livestock Inventory Items (number)", rather than 1,685,257 which is the total value in $1000's of milk & other dairy products. I should reduce my dairy consumption? Ridiculous. Replace modern dairy farming with grass-fed? Yes. Anonymous1- thank you for the note. Anonymous2- I imagine a life time of 3-a-day messaging is hard to combat. Of course it is a personal choice to change dietary habit. My point is, if we truly want to change CO2, we must be willing to consider human consumption. Anon 2 says: Hey - nothing personal here, it's a good general idea for some people to reduce their dairy consumption. Not for others. AND - Switch to grass-fed products. Reduce consumption, period. How about reducing the consumption of all processed foods? Eat whole foods in their original form. Want soy? Eat soybeans or home-made tofu, not energy-intensive, farmed-with-petroleum, shipped, processed, septic-packaged soy milk. Want grains? Steam it up and skip the whole-grain chips. Beans whole, not smashed up and repackaged as veggie burgers. And eat less. I'd like to see the economics: a comparison of the climate-changing emmisions produced by three servings of feta (or milk) from my neighbor's pastured cow and a package of any chosen soymilk. Your comment, "a life time of 3-a-day messaging is hard to combat" seems condescending and seems to suggest that I am a victim of such marketing, unable to critically think for myself. However, given the difficult nature of communicating in this manner, I'd like to give you an opportunity to clarify your intent, if you wish. The comment wasn't meant to be personal, rather more general and in relation to the the dairy's strong hold on dietary patterns. I am from Texas and typically people are aghast at the idea of reducing meat consumption. Maybe you reducing your dairy consumption is ridiculous, but the theory in general is not as radical as one may think. I agree, it's not a radical idea. It's just not a convincing argument. I think it is too simple an argument to suggest to the general consumer that they need to consume less dairy. Dairy in the form of milk protein concentrates, milk powders, etc. are entering the market place from overseas and are decimating the dairy industry in the U.S. Are you going to talk about those protein bars and other dairy ingredient products? You also have to understand that the dairy industry (processors) are not promoting the increase in dairy consumption as milk, cheese or butter (traditionally thought of as dairy). They are promoting the idea of reconstituted milk (heard of Muscle Milk and the like?) and other cheap ingredient products passed off as milk and cheese. These proteins are imported from countries that do not meet the same health safety regulations that US dairy producers have to meet. Some have never been through GRAS studies (MPC). Basically, not understanding what is really happening in the food processing/production sector, you are in essence promoting the end of an industry in the U.S. that will mean more destruction of the environment in developing countries. Should we have confinement farm? No, but the consumer wants cheap food and reconstituted milk products promoted as a healthy alternative to straight up milk is more damaging to this earth and rural economies. I also think those electronic goodies people buy because food is so cheap are far more damaging to the earth. When are those industries going to be forced to clean up their act. How much waste is destroying the environment/air in China and other developing countries because consumers in places like the U.S. do not want to deal with it. Is it always the farmer? No, I think the farmer is just an easy target because people thing they are poor stupid slobs. They aren't stupid, just too small a part of the demographics to have a voice anymore. Heamour, I couldn't agree with you more on all your points. The issue is so complex and we haven't even touched the facts that the US has geographical regions and sectors of the economy dependent on dairy. Gradual change to pasture-based is a practical solution which recognizes those regions and sectors. Furthermore, it may empower them or enable growth. We haven't touched upon what I perceive to be a class issue here. For persons of fewer economic resources, fresh milk and cheese may be an economical means to provide protein, calcium and other nutrition to their children and families each day - working parents who may not always have time or the resources to combine spinach, legumes and grains in a nutritionally complete meal day after day. While replacing mass-produced dairy products with dairy from pasture-raised, grass-fed cows sounds like a good idea, it wouldn't work on a global or even national level, at least not without some other consumer behavior changes. Reducing dairy consumption may sound like an outrageous proposition at first glance, but it doesn't have to be an extreme reduction to make a difference. If every American ate 2 servings of dairy per day instead of 3, and replaced the third with a plant-based protein like beans or nuts, maybe a more sustainable system would be realistic. I love dairy products myself, but I'd happily consider making this small change if it's for the sake of the earth. It's always great to hear individuals are willing to make lifestyle changes for their beliefs, but we're talking about policy. On that note, it seems good policy to provide educational materials to enable individuals to make dietary changes for whatever their food ideology. Amanda, I hear what you're saying about the challenges of changing an industry, but I'd like to see the supporting evidence to your thesis, "it wouldn't work on a global or even national level". Write policy that creates demand for grass-fed dairy products, uses the existing federal and state infrastructure to create tax and other financial incentives for grass-based dairy, and re-builds the crumbled regional processing infrastructure (creameries, cheese factories, etc). Keep farmers in the business of making food for our nation - making it healthier (CLA) and make it with fewer climate-changing emissions by converting to grass-based dairy. The problem with the Capper argument is that it is like expecting kudos for the public announcement that I'm not beating my wife as much as I used to. Issues such as these really need a systems approach of which LCA's are one component. One also has to look at the stocks and flows of the alternate pathways of energy and carbon. pushing the daity industry to grass fed? Dairy cows eat more than just corn or grass. In fact, dairy cows on an efficient dairy have a different meal that is made up of different substances everyday. I think our dairy cows eat about 6-8 different types of foods, with corn silage being 1 component. Today the cows were fed alfalfa, almond hulls, tomato pulp, grape skins, and silage (corn). This helps increase efficiency of milk production (protein to milk efficiency) and allows us to use the byproducts of other agricultural commodities for something useful. Grass fed dairy is not the only answer. A major point you are forgetting is that by focusing on the food-milk efficiency that UC Davis is working on, you decrease greenhouse gas and waste - i.e. if more of the food is going to the milk, less is going to the air and manure. Instead of talking about how bad dairy production is in Tulare County, why dont you go there for a visit. You will see that efficiency does increase with herd size. I have seen dairies in many other states, and I have to say that CA Dairy production is impressive in its ability to deal with the environmental issues facing dairies. I forgot to mention that it is nearly impossible to start a new dairy in many states due to regulations/permitting (air quality, water quality, soil quality, off site movement, etc.) let alone labor issues (do you like getting up at 4:30 AM?) I suspect that it will only get worse in the future. For now, enjoy the high quality of dairy products that you have at your fingertips. Once they disappear due to over-regulation, we will be importing who knows what from China. Ruminants in areas raising crops for human foodstuffs eat a lot of the byproducts of that production, whether inedible parts of the plant, processing byproducts, cull materials or rejected products. On many western dairies and feedlots you see cull fruit, the pumice left from orange juice production, carrot tops, apple pumice from juice production, rejected french fries and tater tots, sweet corn husks and so on incorporated into cattle rations. If those human foodstuff byproducts weren't fed to cattle, they would likely be a waste stream. On that note - corn husks are one thing, but it ok to feed stale candy to cattle? You opened a can of worms. We need to stop the laziness and let our entrepreneurs find a better market for food processing by-products than giving them to ruminants. You shouldn't raise dairy cattle in the desert. Totally bad agricultural economics. I have a hard time believing people would do it without subsidies, even taking scale into account. One of you wrote the quote below in your comment. I'd like to see your references and which states these are. Because, I'm fairly familiar with this stuff and have no idea what state you are talking about. Regulations are a completely different (and legitimate) issue than whether a person wants the lifestyle of dairy farming. "I forgot to mention that it is nearly impossible to start a new dairy in many states due to regulations/permitting (air quality, water quality, soil quality, off site movement, etc.) let alone labor issues (do you like getting up at 4:30 AM?) I suspect that it will only get worse in the future." If we rebuild our regional dairy systems (milk processing, butter, cheese), we won't HAVE to compete with China, because we will de-commoditize dairy and we won't have to compete on price. Obviously, this doesn't apply to dried, whey, and similar which could likely remain commoditized. The basic physiology that cattle are ruminants able to digest cellulose and that swine are monogastrics unable to digest cellulose determines the relative feed value of different potential feedstuffs for the two species. Higher cellulose content feedstuffs are have higher value as cattle feed than as swine feed. Digestibility for swine being more like humans, byproducts closer to human leftovers make better swine feed than cow feed. Many of the vegetable origin food processing byproducts are poorly digestible by monogastrics because the components more digestible by monogastrics have been removed, leaving a higher cellulose content. The animal industries bid for these by products on the basis of their relative feed value for their species. The commodity markets are very competitive, including players such as ethanol producers. Those feedstuffs fed to a species that don't seem to fit into this general scheme likely contain an essential nutritional ingredient. Because for most any livestock operation feed costs are at least 50% of their operating costs, minimizing that cost is a major component of staying in business. If it makes more sense for a hog than a cow to eat something or vice versa, that very likely is what is happening. To the previous poster, Thanks for repeating what I wrote. I can see that you are a fan of market economics, as am I. In order for the market to work efficiently, the rules must be made. One of those rules is that cattle should graze. Period. "If it makes more sense for a hog than a cow to eat something or vice versa, that very likely is what is happening." To this I say, show me the money. Give me some references. Of course it happens, but does it always happen? SHOW US THE PROOF. A colleague just sent this link to the dairy checkoff program's summary of recent partnerships to increase dairy consumption -- by partnering with McDonald's, seeking to sell more pizza in school lunch programs, expanding dairy demand among the lactose intolerant, fighting childhood obesity by encouraging children to "fuel up" with dairy, and so forth. The federal checkoff programs for fluid milk ("milk mustache", "got milk?") and dairy (the "real" seal) use the federal government's taxation authority to collect mandatory assessments from producers, whether they want to contribute or not, so these programs really express federal policy on the question of how big dairy demand should be. "In the United States, transportation accounts for at least 26% of total anthropogenic GHG emissions compared to roughly 6-8% for all of agriculture, which includes less than 3% associated with livestock production." Pitesky, M., K. Stackhouse, and F.M. Mitloehner. 2009. Clearing the Air: Livestock’s Contributions to Climate Change. Advances in Agronomy, 103: 1-40. Covers the state air regulations in California. Note that these differ by state. To meet each regulation costs time and money to bring in gov't officials to achieve approval. Its hypocritical that the same people in gov't who want small farms make it more difficult to start a small farm. Manure is manure - irregardless if it is produced by 1000 cows on one dairy or 100 cows on 10 dairies. The issues are the same. Just because you dilute the problem does not mean the problem is solved. Having 1 dairy to regulate is easier than having 10. I also don't see how de-centralization is more efficient - just because the milk has less of a distance to travel - more processors would have to be built, transportation of feed would have to occur. i dont think the carbon footprint would be smaller. @ ANON 2 - regarding laziness of food supplies. i don't understand how you think that feeding dairy cows the byproducts of other ag operations is lazy? It has taken years of research to develop the proper food rations that should be fed to cattle. What else should be done with these products? Co-generation use for electricity - thats been done and deemed inefficient (so inefficient that the plants have closed or gov't subsidized). Re-application of byproducts to the respective orchard/crop? That has been done too - only to increase fungal disease pressure and require more sprays (example:Peaches and brown rot). The free market system finds the most efficient (therefore profitable) way of handling wastes. I dont think my dairy is the most environmentally friendly - but I do try my best to mitigate the problems that it creates. I see changes on the horizon, but what you all are proposing is not the future of agriculture. We have too little of our work force involved in ag (2%) to create these changes and I just dont see anyone wanting to take on the sacrifice of 70+ hour work weeks for a hopeful 40K-60K a year. "At the comments regarding "de-centralization" of dairies. Manure is manure - irregardless if it is produced by 1000 cows on one dairy or 100 cows on 10 dairies. The issues are the same. . ."
You entirely missed my point about regional infrastructure enabling the development of grass-based dairy. Think systemically. Think markets. Think business. Re-creating our neglected and destroyed regional dairy processing infrastructure will enable the growth of grass-based dairy by bringing a product to the consumer. I think there is a market for regional and grass-based dairy, but the farmers can't get it to their market because they lack the expensive infrastructure. The modern infrastructure is designed hand-in-hand with large-scale farms (previously, infrastructure was regional). I don't think grass-based dairy can compete with the economies of scale that confinement has - do you? But, grass-based family farms can stay in business and new grass-based farms can start up (smaller scale, lower overhead, less risk) when they have a market for their product. They can stay in business if they have a market. They will have a market for their product (it's differentiated, not commodity), if they have a regional buyer (or coop) that makes fluid, butter, and cheeses. US federal and states’ policies should be to support the re-development of regional dairy processing infrastructure to strengthen and benefit our families, our rural economies, our health (the milk is different -CLA) and our environment (nutrient cycling, fewer emissions). What are your thoughts on the check off program(s)? I see many sides. One one side - it's total promotion of an industry. And, it's required of producers - which seems strange (using federal power) and union-like and counter to civil liberties. At the same time, individual farmers can't pay their own marketing departments, so they do this collectively to sell their goods (milk, beef, etc). It benefits them. Other farm businesses and non-commodity farmers have to do their own marketing which can be expensive. Dairy (and other) farmers I've known and worked for have been conflicted but have come down in favor of the check off programs. In response to the most recent comment, you may be interested in this blog's checkoff tag in the sidebar. My investigative piece on the pork checkoff program three years ago is here. One thing I'd like to know is why USDA's most recent annual dairy checkoff report to Congress has been delayed (it was supposed to be published in July 2009 but USDA sources say it is still in "clearance"). @ Anon 2: Regarding de-centralization. What you are stating is not a new idea - which you probably know. Several cooperatives have formed throughout the country, and in California to help dairy owners specialize in order to help stabilize income. One example is Hilmar Cheese company - they, and the growers affiliated, raise Jersey cows which produce a higher milk fat and are good for cheese production. This company is regionalized for the most part - most dairies are within 15 miles of the cheese plant. So what you are proposing is feasible. But if regionalization is such a great idea, why did it end in the first place? This question is the true bane to the argument. Just because we want localize dairy products now, will the next generation (or the next) want localize dairy products? History says "no." It will probably be hard to get investors to put millions of dollars into a regionalization project. I dont think any dairy owner would be against it - as local markets bring more money, but I dont think you will get any of them to fork over the cash needed for the investment either. We are just like other people, you know. We dont mind taking a calculated risk every once in a while, but this would be a huge project that would make or break a dairy and in some cases the family that owns the dairy as well. Just keep in mind that most dairy owners want to make things better, but sometimes we dont know how. Helping fund programs that educate us will bring more change to the system than forcing a regulation down our throat. I find great resources in UC Davis and the affiliated extension service - but it is getting harder to have them come to critique our farm operations. I am proud to say that I have developed all of my manure management strategies based upon their research and suggestions.